Deciding to file a Chapter 7 bankruptcy is one of the more difficult decisions you can face. With the wounded pride many debtors feel upon filing, the choice is not an easy one. Learning about the process, however, can help you to make a choice that is best for you. The first step in the Chapter 7 bankruptcy process, assuming you decide you can no longer afford to pay their debts, is to ensure that you qualify for the relief requested. In 2005, the bankruptcy laws changed so that debtors have to qualify from a financial standpoint in order to file Chapter 7 bankruptcy. Specifically, you must have a gross income over the previous six-month period prior to filing bankruptcy that is at or below the median income of an equivalent household size. If you meet those basic requirements, you automatically qualify for Chapter 7 (assuming you haven’t received a bankruptcy discharge in the previous eight years) and can begin the process. Let’s say that after including those necessary expenses, your disposable income lowers to a level the court deems acceptable. in that case, you will pass the means test and qualify for Chapter 7 bankruptcy. Once you value your assets, you can then claim the allotted exemptions for the assets in order to protect the assets. An example of this process is: You own a vehicle outright. The vehicle is worth $3,000 and your motor vehicle exemption is $5,000. The motor vehicle exemption protects the asset in this situation and you will not owe any money to the court. In another example, your motor vehicle exemption is only $1,000 and as a result, your vehicle is over-exempt by $2,000. 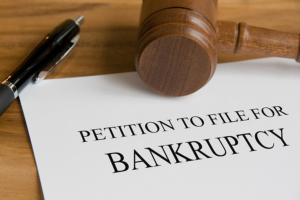 In that situation, you would have to either pay the $2,000 to the bankruptcy estate, or would have to surrender the vehicle to the bankruptcy estate. It is very important that you understand the exemption process prior to filing to ensure that you can protect your assets. While the court allows you to rid yourself of large amounts of debt, you also have an obligation to ensuring the creditors receive something from you if you have assets that are not exempt. Prior to filing, the court requires that you take a pre-filing bankruptcy course. In addition, you will have to take a second bankruptcy course after filing in order to receive their discharge. Upon completing the petition and the necessary documents, the case can be filed. Upon filing, the next step is for the court to schedule a 341 meeting of creditors. The trustee holds this meeting. The court appoints the trustee to represent the interests of the creditors. The meeting takes place around 4-5 weeks after filing at the bankruptcy courthouse. Generally,the meeting is five to ten minutes and consists of questions designed to find assets for seizure and distribution. Any negative situations associated with the questions previously raised can be resolved or planned around. After the conclusion of the meeting, the Chapter 7 bankruptcy case will stay open for a period of sixty days. The creditor has up until after the sixtieth day to object to the discharge of their debt. 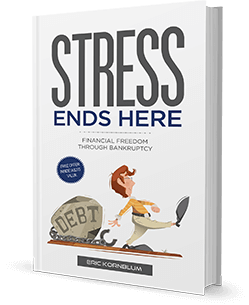 All debts, excluding student loans, the majority of taxes, child support, and alimony, are discharged after the last day to object unless the debts have been reaffirmed by the court. Normally, the only debts allowed to be reaffirmed are mortgages, vehicles and other secured loans. These agreements must be filed prior to the discharge to be valid, otherwise those debts will be discharged as well. Filing for Chapter 7 is an arduous process that entails thorough preparation. If you properly prepare for this big decision, it could be one of the best financial choices you make. The purpose of Chapter 7 is to obtain discharge of your existing debts. If, however, you committed certain kinds of improper conduct described in the Bankruptcy Code, the court may deny your discharge. Call now to determine if Chapter 7 is right for you.